February 14th. What better day to celebrate love and kindness in the world (besides on your own birthday) than on Valentine’s Day? Last night I spent some time writing words of love to my husband and family. Today I presented those words to them, and found it put me on a path of love for the day; on a gentler road. What if we started all our days like that? What if the world started all their days with loving words and compliments? What a changed world we would see– one of pure compassion. Makes me want to try to start every day this way. It does take time and effort, but it’s well worth it. Last night I also helped my 9-year-old daughter with her Valentines. 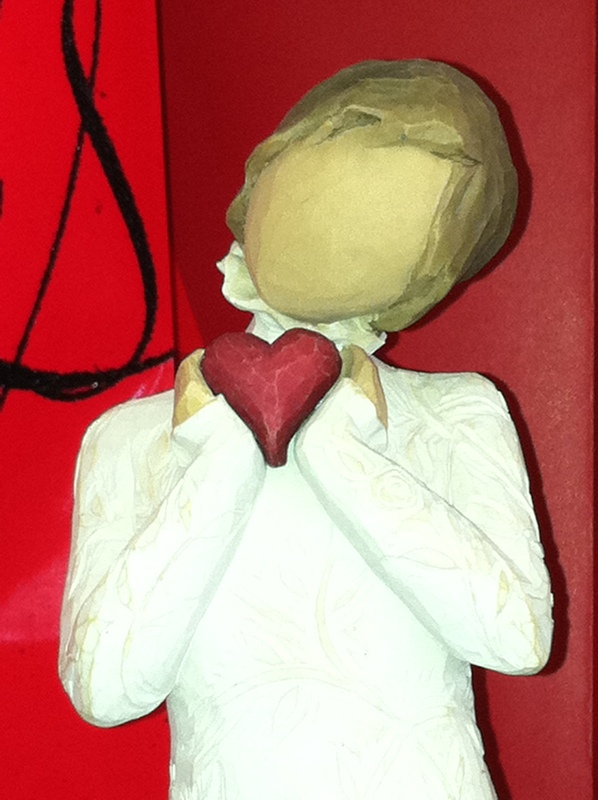 She has moved away from store-bought valentine’s for a few years now, and prefers to make them herself. Last year she made bookmark valentines. This year it was even more simple: a piece of paper cut out like a heart (with butterflies printed on it– as her school’s mascot is the Monarch), a complimentary sentence, and a lollypop attached. She made these by herself, stamping names onto the heart, adding a scrolling glittery decoration as well, and composed each compliment. I loved reading what she thought of her classmates: “You are creative,” You are a good friend,” You are generous,” You are good at math.” On and on and on she went. How wonderful for these kids to have those words to go back to whenever they need a little lift. She made me a card, and her father, brother and sister one as well. I love her warm spirit and seeing the good in other people. I just wished she would see more of the good spirit in herself, every day. During her interview with Oprah, Cheryl recommended– to improve your self-image– saying positive daily affirmations for 30 days to turn your attitude around from a half-empty to half-full perspective. Her thinking– shared by many– is that we need to retrain our brain to thinking we are what we intend, and then we will act accordingly. Repeating this process (saying an affirmation everyday) allows the brain to strengthen associations, making this an exercise of the brain as well. Self-fulfilling prophecy is in volumes of psychological research, and still exists after all these years, even though we know our mind can trick us into believing anything really. Cheryl recommends breaking away from old habits of self-doubt and into new habits of self-love. If we can trick our brains into believing the worst about ourselves and then acting to make that belief true, we are then able to trick our brains to believing the best about ourselves, and then acting to make THAT belief true. What I am talking about here is directly tied into self-compassion and self-kindness that I posted about previously. Below is a list of resources that I use for daily self-affirmations; little reminders that life is positive and we are up for the challenge. Take a look. Some are print based and others are electronic. The great thing is that they are available to all– and can help lead us in the right direction– the direction of self-love. Cheryl Richardson shares a list of affirmations on Oprah.com. Another source I go to– or one that comes to me in my inbox via email is from Owning Kristina. It’s called “Mojo Mondays” and it’s a way to start your week off thinking about something healthy… for yourself. Louise Hay, a motivational author and founder of Hay House Publications also promotes daily affirmations. I found a nice app recently for the iPhone. An Affirmations app that has numerous positive affirmations for all to practice, all at your finger tips. Worth checking out. Facebook has a Positive Affirmations page as well, with new posts daily. Which ever source you choose to pull from, the point is– just be kinder to yourself and to do so, you need to believe in yourself fully. Wishing everyone a lovely Valentine’s day full of kindness in any form!